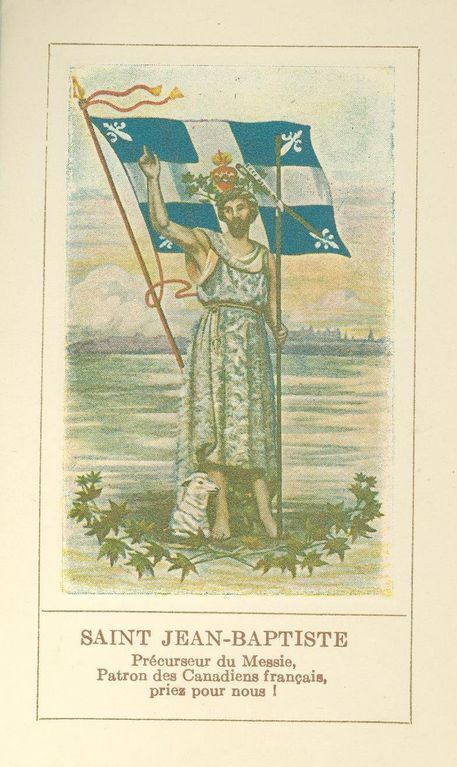 Before it was decreed Québec’s national holiday, Saint-Jean-Baptiste Day was a pagan feast, then a religious holiday, and, finally, a patriotic celebration, at least in Québec. 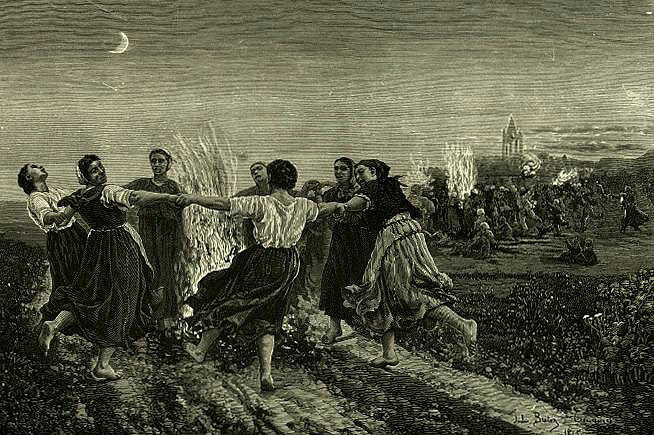 Celebrated on June 24th, Saint-Jean-Baptiste Day is associated with the summer solstice, the longest day of the year, which normally falls on June 21st or 22nd. This date also marks the start of summer. 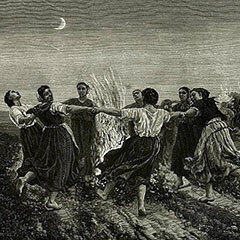 For those who live off the land and whose work is determined by the seasons, Saint-Jean-Baptiste Day offers a short break and a bit of entertainment before haymaking and harvesting begin. French-Canadian nationalist spirit arose during the 19th century and Saint-Jean-Baptiste Day took on a political dimension. On February 26th 1908, at the Société Saint-Jean-Baptiste’s request, Pope Pius X proclaimed St. John the Baptist the patron saint of French Canadians. 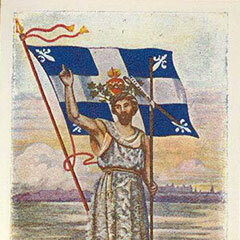 In 1977, Prime Minister René Lévesque institutionalized Saint-Jean-Baptiste Day to make it Québec’s national holiday. 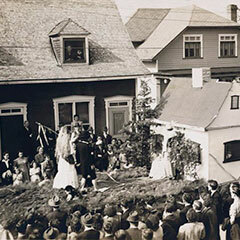 The following year, the Government of Québec created the National Holiday Organizing Committee to encourage all of the province’s regions to participate in the festivities. Nowadays, Saint-Jean-Baptiste Day is accepted as the national holiday, and especially celebrated on the evening of June 23rd on the Plains of Abraham in Québec City. In 1975, Gilles Vigneault sang Gens du pays (literally People of Our Country) and Ginette Reno performed with Jean-Pierre Ferland Un peu plus haut, un peu plus loin (meaning A Bit Higher, A Bit Further). Enthusiasm for the festivities reached a peak in 1976 with a concert on the Plains of Abraham featuring singers Vigneault, Léveillée, Deschamps, Charlebois, and Ferland. This great show, presented again in Montréal two days later, is remembered under the title “1 fois 5” (1 time 5). In 1925, Québec’s Legislature declared June 24th a statutory holiday. 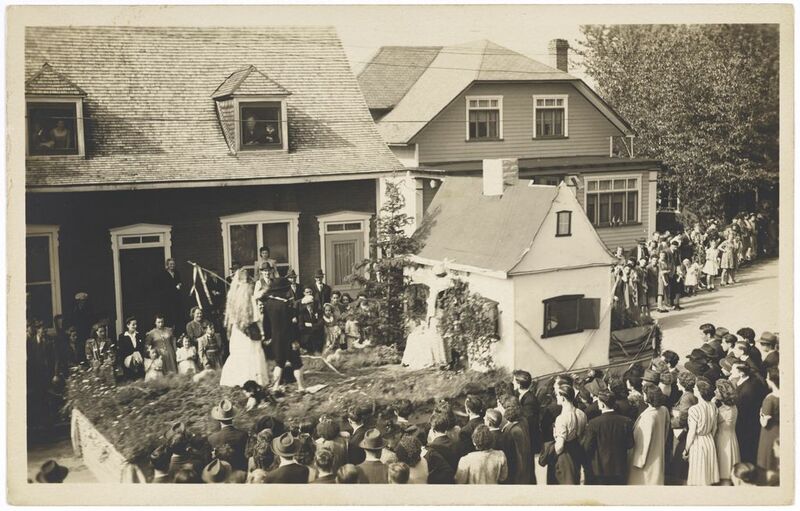 From 1920 to 1960, Saint-Jean-Baptiste Day celebrations remained much the same. After attending Mass in the morning, parishioners marched along the streets lined with pine trees and adorned with banners and flags. In the afternoon, there were speeches, picnics, lawn games and boat rides. The party continued with outdoor concerts that accompany the day’s most important custom: the bonfire. In the 1950s, block parties multiplied in Montréal, where people danced to the sounds of traditional music. 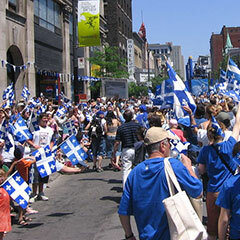 Nowadays, Saint-Jean-Baptiste Day has lost some of its political significance because of the decentralization of celebrations and of the numerous familial and multi-ethnic neighbourhood parties. However, games, picnics, outdoor shows, fireworks, and bonfires are still very popular. 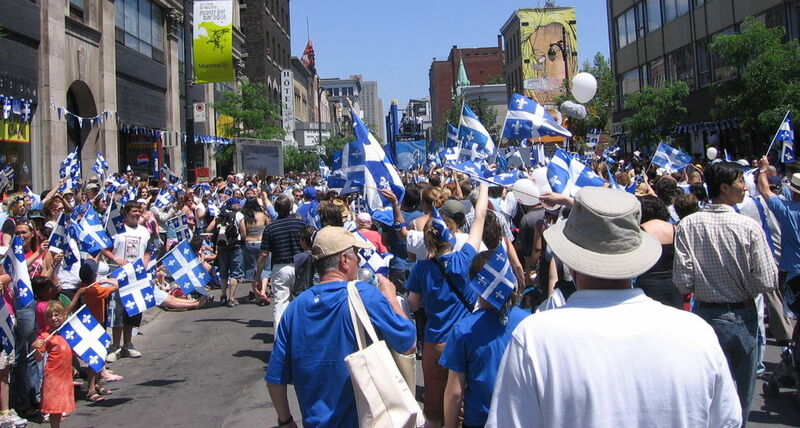 Video narration of the Québec National Holiday Parade in 2009 presented by a man and a woman. Narrator: National Holiday Parade: a Loto-Québec event inviting you to celebrate the holidays everywhere in Québec. Claudine Prévost: So there are two giants coming now, Marcel, the Nicolas dit Noble Cœur giant who is a tribute to the soldiers of the Carignan-Salières Regiment, which was the first regiment to come to defend New France. Marcel Tessier: In 1665, of course! Carignan-Salières arrived with Tracy to defend the colony, which seemed to have been overtaken by the Iroquois at the time, especially in Trois-Rivières. So, it is a regiment really. Some well-known people, like Sorel, Lanoraie, Chambly, people who commanded the regiment then, remained here. Claudine Prévost: They became lords? Marcel Tessier: They became lords! Claudine Prévost: And gave their name to municipalities today. Claudine Prévost: And Champlain you see here, our New France Discoverer. Marcel Tessier: Ah, Champlain 1608! Claudine Prévost: We talked about him very, very often last year as we celebrated the 400th anniversary of the French presence here in North America. Marcel Tessier: A great navigator, he established the first viable colony in North America in New France. Claudine Prévost: Yes, the giant Champlain, which is presented during the SAQ New France Festival in Québec taking place this year from August 5 to 9. Marcel Tessier: Yes, it’s important ... [Unintelligible]. Claudine Prévost: So you can also see him there. Marcel Tessier: Samuel, probably with the Recollects who were the first missionaries to come here in 1615. The Jesuits, in 1625, were brought by Champlain. Claudine Prévost: And look, Marcel, now the Zuruba percussionist group! Claudine Prévost: Oh, don’t we love percussion! Claudine Prévost: We feel it right in our gut. So you’ve just seen Zuruba, and now the giant Grand Cru! Marcel Tessier: Who is a new giant. Claudine Prévost: Yes, and presented by the SAQ, Marcel, partner of the National Holiday and the New France Festival. Claudine Prévost: They have been supporting the celebrations for a long time. Claudine Prévost: So, hello, big giant Grand Cru! Marcel Tessier: Of course, Grand Cru. To remind us of their different products, huh? Claudine Prévost: The presence of the giants Champlain, Nicolas dit Noble Cœur and Grand Cru is a collaboration between the SAQ and the Québec New France Festival. The opening parade for the festival will be held on Wednesday, August 5, at 7 pm, showing Champlain, Nicolas dit Noble Cœur and many others, including giants for the National Holiday in Montréal who will be visiting Québec City for the second consecutive year. And now the Chinese Cultural and Community Centre, counting more than 100,000 Chinese men and women in the Greater Montréal Area. And I know that people of my generation will be surprised, Marcel, but at one time, at the time of the Sainte-Enfance, you would be invited to buy your little Chinese! Claudine Prévost: You are watching the National Holiday Parade live from Sherbrooke Street in Montréal. We will be back in a moment. See you in a bit.